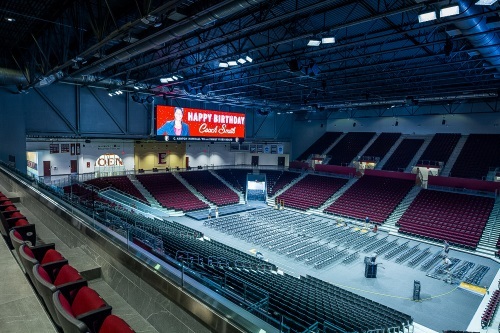 New 160,000 square-foot, 5,100-seat arena home of the Elon Phoenix basketball and volleyball teams outfitted with 88C10 and 44C20 amplifiers. According to U.S. News & World Report, you can find the 2018 top-ranked regional university in the South in the Piedmont area of Central North Carolina, between Greensboro and the Raleigh-Durham-Chapel Hill triangle. There, Elon University sits on 636 acres that Best College Review ranks as one of the most beautiful college campuses in the country. 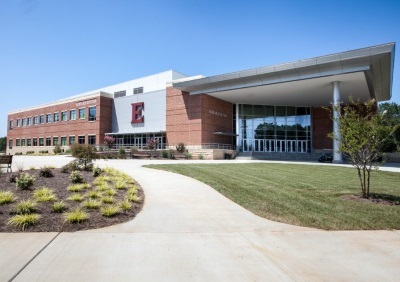 Clearly not an institution that rests on its laurels, Elon University has just opened the all-new Schar Center, a 160,000 square-foot, 5,100-seat arena which serves as the new home for Elon Phoenix basketball and volleyball and a center for major campus events. In addition to the main arena, the Schar Center boasts a spacious entry atrium, a large practice gymnasium, locker room and team facilities, and a hospitality room for social events and gatherings. Audio & Light designed and installed the AV systems for this beautiful and extensive new facility, including a sound system that relies on Linea Research power amplifiers. The arena has no acoustic treatment, relying on the design and quality of the sound system. 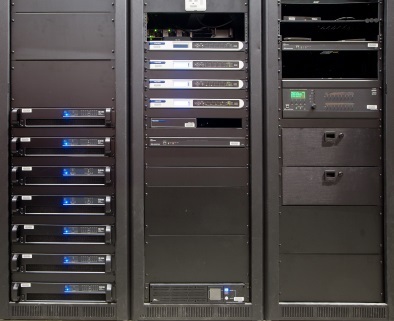 To ensure that quality, Cox designed a Dante system featuring Fulcrum Acoustic loudspeakers driven by Linea Research 88C10 and 44C20 power amplifiers and networked with Symetrix Edge DSPs.